Our range of products include pneumatic pouch packing machine, gutkha pouch packaging machine, auger filler pouch packing machine, collar type pouch packaging machines, ffs pouch packaging machines and tea bag pouch packing machine. 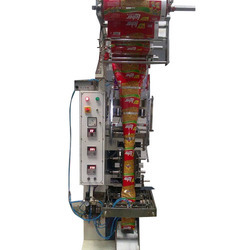 Manufactured in compliance with the set industry norms and guidelines, quality of this range of Pneumatic Pouch Packing Machine never deteriorates. Its impeccable performance and service life, is owed to the finest raw materials and modern machines, applied in its making. 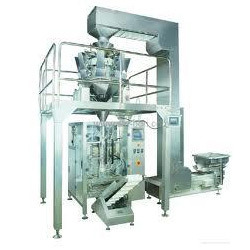 In addition to this, the offered Pneumatic Pouch Packing Machine range is known to be marked at the most reasonable rate possible, making it highly acclaimed and asked for. Used Free Flowing Granules or Powder of uniform weight and size. Tablets, Snacks, Grains, Seeds, Panmasala, Tobacco, Jaljira, Cereals, Coffee Powder, Tea, Detergents, Pharmaceutical Powder, Namkeen, Henna, pepper, spices etc. Used Free Flowing Granules or Powder of uniform weight and size. Tablets, Snacks, Grains, Seeds, Panmasala, , Jaljira, Cereals, Coffee Powder, Tea, Detergents, Pharmaceutical Powder, Namkeen, Henna, pepper, spices etc. With inclusion of sophisticated machines and advanced equipment, we are offering an excellent range ofAuger Filler, Auger Filler Pouch packing Machine. The offered machine is manufactured under the vigilance of our adept professionals using quality assured components in adherence to with set industrial norms. By offering the entire range in various technical specifications, we have been able to meet clients' variegated requirements. Grains Flour, Spices, Milk Powder, Cocoa & Coffee Powder, Besan, Haldi Powder, Sooji, etc. Backed by state-of-the-art industry expertise and our zest to offer you the mejor has made us supply an exclusive assortment of Collar Type Pouch Packaging Machine. Manufactured with the help of our adroit professionals with an aid of finest components and ultra-modern techniques in accordance to the industry set standards, its quality is our assurance. Offered at a pocket friendly price tag, it proves to be a real delight to our clients. 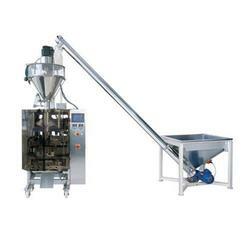 Our specialization lies in offering a distinct assortment of FFS Pouch Packaging Machines. Extensively used in various industries for packaging tablets, snacks, grains, seeds, pan-masala, jaljira, cereals, coffee and many other products these (Form Fill Seal Machines) machines are being manufactured using quality-tested components and high-end technology. Clients can avail (Form Fill Seal Machines) the entire range from us in various technical specifications as per their different requirements. ½ H.P AC Single phase. Backed by consistent efforts of our dexterous workforce, we are offering a qualitative range of Bag Pouch Packing Machine. The offered machine is not only manufactured using supreme quality components but also checked on numerous parameters. 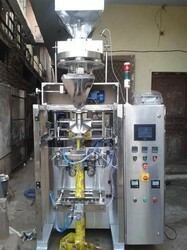 This machine is widely used for pouch packing in a number of industries. We offer this machine in various technical specifications. Clients can avail the entire range from us at reasonable prices. Used for free flowing granules –Tea etc. Offered in the market at the most reasonable rate possible, this exquisite range of Multihead Weigher Pouch Packaging Machines offered by us is widely appreciated and preferred in the market. Manufactured in compliance with the set industry norms and guide lines utilizing the finest raw materials and modern machinery, its performance and service life leaves our clientele delighted. Potato Chips Type Snacks, Rice, Pulses, Sugar, Kurkure, Namkeens, etc. Heat seal able laminated film in roll form with photo registration eye marks. Looking for Pouch Packing Machine ?